My Best Posts For Tech Novices (Plus A Few From Other People) is a fairly popular “The Best…” list, and I thought that a post like this one today would be a useful addition to it. In addition, this is a good excuse for me to spend a little time reflecting on what Web 2.0/Social Media tools I truly find useful among the countless ones out there. 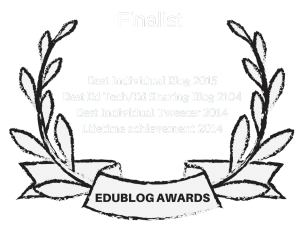 I continue to believe Edublogs is the best blogging platform out there for educators. It’s extremely easy to use, free (though the premium benefits are worth the minor cost), unlikely to be blogged by school content filters, and their customer service is unparalleled. 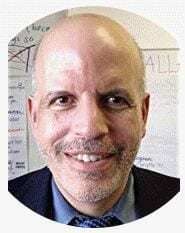 I use Edublogs for this blog, my Engaging Parents In School blog, and all my class blogs. I subscribe to about 140 blogs on Google Reader — RSS is a truly magical system. My The Twenty Blogs I Read First… list is a bit outdated, but I’d still keep over half of the ones listed on a new compilation. Here’s a link to a simple video from Common Craft explaining how RSS works. Twitter, the messaging service limited to 140 characters, is a key place to learn about resources and to connect with educators around the world. You might find My Best Posts Related To Twitter useful. I use Tweetdeck as a desktop client to access Twitter — I think it’s far superior to the Twitter site itself (However, I –and a number of others — have had difficulties with the iPhone Tweetdeck app, so there I use the regular Twitter app instead). I think the “lists” feature on Twitter is essential. Even though I “follow” more than one thousand people, I only have about one hundred on a list I’ve created of “don’t miss” twitterers. That doesn’t mean I never look at tweets from others — I often do. The list just makes it more manageable, and, in addition to being able to periodically look at tweets from the thousand other people I follow, it also allows me to send Direct Messages to them. Though I post on this blog about practically any useful site I find (if I get behind I just leave the tab open on my browser), I do use Delicious and diigo to save bookmarks for two purposes. One is to keep an ever-growing (it’s at over 1,000 now) categorized list of links for my IB Theory of Knowledge class. That links to my Delicious account, which is where students find resources for the lesson preparation they have to do in my class (see Teaching Students To Teach (& What School Reformers Are Missing)). I also use Delicious to bookmark resources I use for the books I write. Last year, there was a big scare about Delicious closing down and all our bookmarks disappearing (see The Best Sites For Figuring Out What To Do If Delicious Shuts Down). At that point I learned that diigo, which is very similar to Delicious, allowed automatic bookmarking to both sites at the same time. Since that time, I’ve bookmarked everything using diigo, but have students go to Delicious just because I like the interface better. Our district unblocked YouTube last year for teachers, and it’s been a “Godsend.” I have my own channel for class videos. Using my iPhone for speaking practice with my Beginning and Intermediate English Language Learners has been a huge asset. And it’s been an equally valuable tool with the oral presentations being given by my IB Theory of Knowledge students. I regularly use the camera in my iPhone to take photos for use in class (see The Best Ways To Use Photos In Lessons). And sometimes I will just use them in an Animoto slideshow that I’ll post on our class blog. Flickr is the primary place where I store my photos. And Instagram makes it super-easy to upload photos there and/or to share them on Twitter or Facebook. I am recent but now hooked reader of all your emails. You share the best information. all this information. You are a full-time teacher… how do you have the time to read all the information out there???? Do you have special search alerts set up? Code? I am collecting inspiring stories of teens from around the world, I am seeking a way that I may easily search for stories without having to read every newspaper/magazine/social platform out there. Idea’s for me? Thank you for all that you do for your community!